Nixon Motor Sports: Cinco de Mayo? 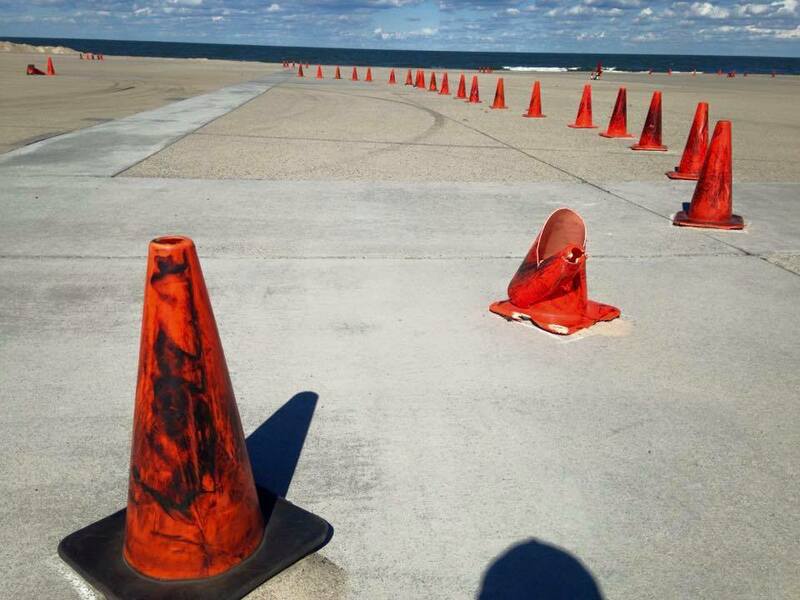 Sign up for Autocross Today! Cinco de Mayo? Sign up for Autocross Today! One if by land, two if by sea, autocross at ACU4!! This will be the first event of 2016 to be held at the premiere autocross site in the area, at Little Creek Naval Base. If you thought that was a long name for a place, just be glad I didn't use the full name of Joint Expeditionary Base Little Creek - Fort Story! Sure, saying JEBLCFS is a fun word to say, but it doesn't exactly tell you where it is! Specifically on Little Creek, the autocross is at ACU-4, which stands for Assault Craft Unit number 4 if that helps any. From here on out, let's go with the shortest name and just call it ACU-4. The fact that this event is on a military base means that to drive or just come and observe, you have to be pre-registered so that the friendly folks at the gate will let you enter. If you'd like to just come and see what it's all about, then there is no cost for that, and if you want to ride along with one of the drivers in competition you just have to ask! The minimum age to ride along is 12 years old. So far the NMS FIAT is the only car in the GS class, so I'm shooting for a top 3 spot! Please don't drive on the boats! If you'd like to just come out and watch, just bring a lawn chair and your sunscreen and make a day of it! You can watch all day for free, and there is a small spot right next to the course that makes for great viewing too. Throw in the sound of cars revving it up and the view of the bay, and you've got a pretty good way to enjoy a Sunday. If you're not a military ID card holder, you can attend as long as you register at the link above before the event. We Wheel our Way to Win With the Wet! 124 Drivers on May 22nd Can't be Wrong! Live Coverage from Bristol Today: May 14 2016! May Gets Serious for Team NMS! Self Driving Cars Since 1975! GREAT SCOTT!